A Charlottesville-based company has a cleaning solution for cat owners who don’t like to clean up their furry one’s waste. 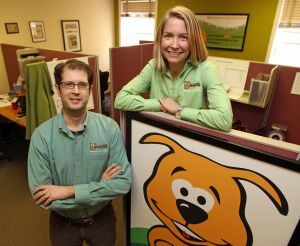 DoodyCalls, a national pet waste removal company, has expanded its services to help cat owners. For a weekly fee starting at $15, company employees will come to a client’s house and replace and clean out kitty litter boxes. Although DoodyCalls has always offered service for cat owners, it recently decided to make a full marketing campaign to promote the work. For the last 10 years, most of the company’s clients have been dog owners.